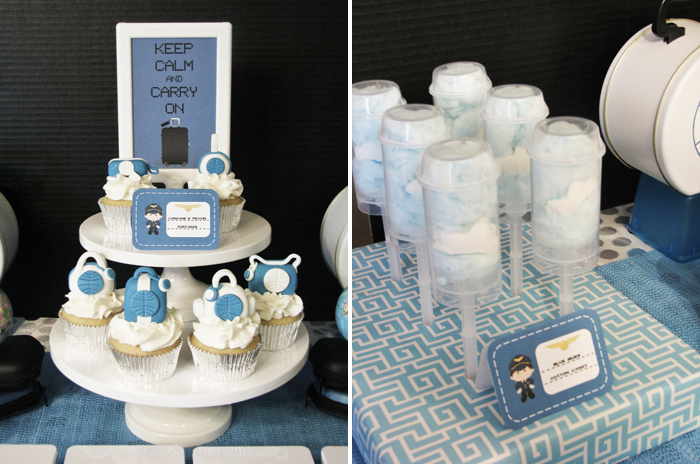 I am seriously in love with this Pan Am / Come Fly Away birthday party by Lynlee’s Cakes! 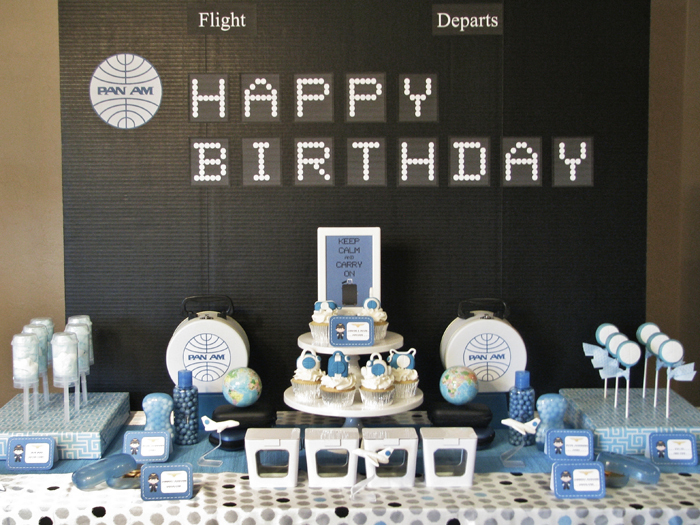 Lynlee hosted this birthday party for her mother, who worked at Pan Am while Lynee was growing up. Phenomenal details are everywhere in this party! I think my favorite is the spin on the “Keep Calm and Carry On” sign featuring luggage – so clever! 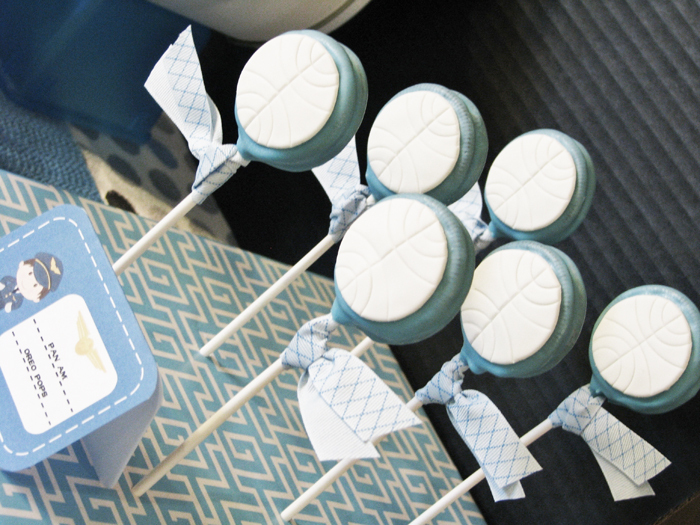 Check out Lynlee’s post for more photos! Recently featured on Amy Atlas. 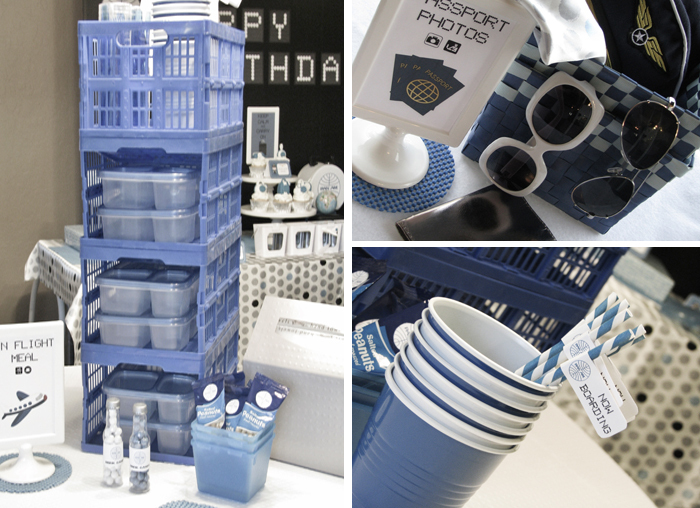 This entry was posted in Party Inspiration and tagged blue, white. Bookmark the permalink. Wow, are those Pan Am logo oreo cookies?! I really like the flight board backdrop. That is really cool.